Granted, I'm a little late with the whole gift guide shenanigans... But y'know what they say? Better late than never! 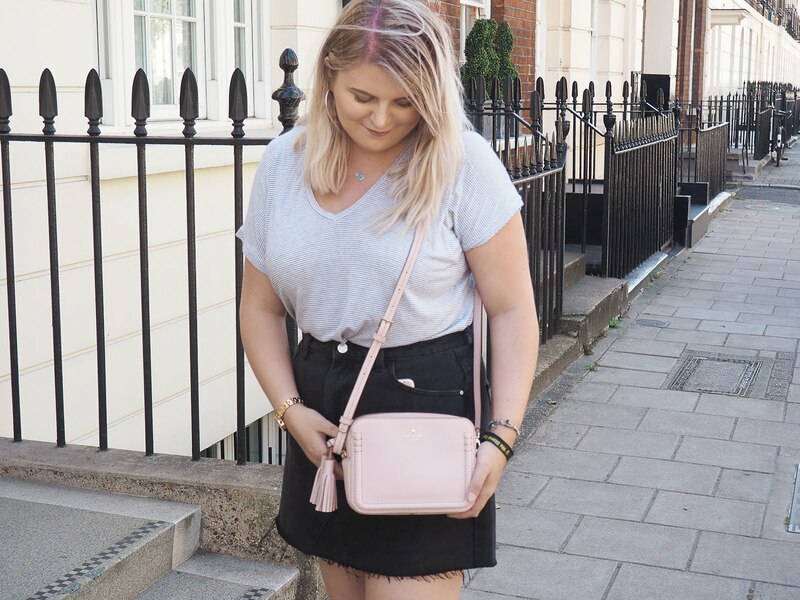 Believe it or not, I'm actually in the minority of bloggers who thoroughly enjoy reading gift guides - I think they're a really fun post and a great way to see what items everyone's loving at the moment. Plus, we all need help with present shopping every now and then with all the retailers fighting for our money! It can be a lil' overwhelming. 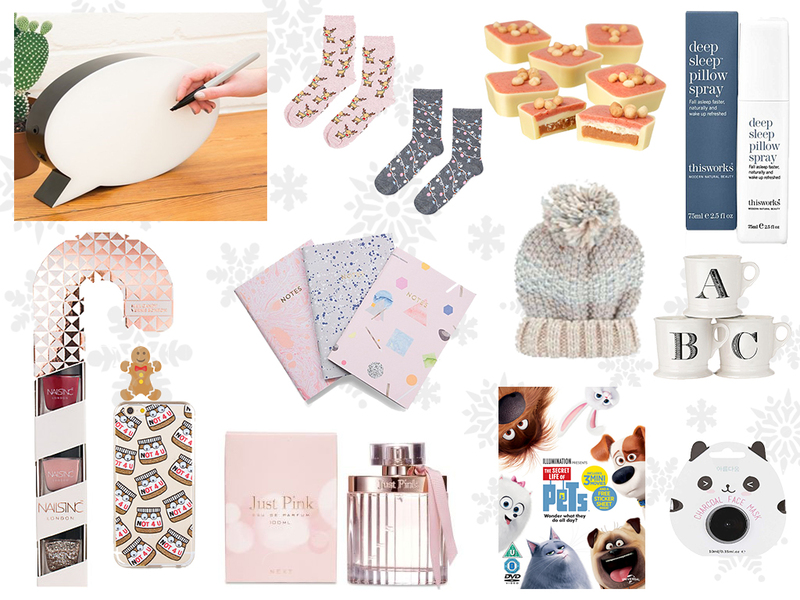 So, here are some of my picks for presents under £20! I'm not gonna bore you all and go through each item one by one because let's be honest, none of you are going to read all that - I know I certainly wouldn't. This gift guide wasn't created with one particular audience in mind, it's just a few things that I know would make lovely gifts (for myself) that I've spotted over the hours I've spent searching the internet for inspo (again, for myself). If you're into homeware and cute little nick nacks for your room, you'll know that light boxes are the next big thing. Like seriously, if you don't own a light box and use it in every Instagram - Who even are you? I'll be honest, I don't (yet) own one, but they're most certainly on my list. Then I spotted the Speech Bubble Light on HMV's website and thought "Y'know what? That would be a cool present!" It's essentially a mini whiteboard for your room, but how frickin' cute is it? The answer is so frickin' cute. Speaking of the next big thing, pillow sprays. Yep, you read correctly... You can buy a scented spray for your pillow (just in case you didn't know that was now a thing). I currently own a sample size of the thisworks Deep Pillow Spray but oh my, it's one thing I definitely couldn't go without. Not only does it smell divine, it works a treat and would make a lovely present for those who are feeling a little sleep deprived. Last but not least, let's have a little chat about how bloody incredible Next perfumes are? I mean, the Just Pink fragrance that I have chosen is basically a dupe for Chloe - How gorg is that bottle? It smells beautiful, is long lasting and most importantly, a brilliant price. I'd say it's a perfect present for mums (or myself because that bottle would fit right in with my Instagram feed!). If you follow me on Snapchat (chaptersofkat) or Twitter (@chaptersofkat), you're probably aware that from the 12th until the 24th of December, I'm going to be taking part in my own version of Blogmas... AKA, 12 days of Blogmas! I don't know why I insist on putting this pressure on myself but hey ho, I love Christmas. Keep your eyes peeled for more gift guides coming soon! bloglovin • twitter • instagram • pinterest *This post is in collaboration with HMV, all opinions are my own. Great ideas! The Anthro mug is always a great gift. I got one for my birthday last year and I use it almost every day! Happy holidays! I just got the thisworks pillow spray in my advent calendar & I think I love it! It does have a kind of strong scent & if I use too much I feel a headache coming. But honestly, it just works. I never used to be tired at 10pm & suddenly I can go to bed at that exact time & just sleep. How?! Every time I read these kinds of posts I just want everything for myself haha.